Cannabis and cancer are two hot areas for researchers right now. But, does the herb hold potential as a cancer treatment? Why do so many cancer patients turn to medical cannabis? As it would turn out, the herb has quite an impressive resume when it comes to cancer. Not only has cannabis been used medicinally for thousands of years, but preclinical evidence suggests that the plant may hold the key to the next major breakthrough in cancer research. Here are five things you didn’t know about cannabis and cancer. Fairly recent archeological evidence suggests that our ancestors may have been using cannabis to ease cancer symptoms for at least 2,500 years. In 2014, researchers made some fascinating discoveries in the preserved body of a woman found in Siberia. Along with the woman, in her burial chamber, was a container of cannabis. After an extensive investigation, the research team determined that the woman died of breast cancer, and researchers speculate that the cannabis she was carrying was used to ease the pain and other debilitating symptoms of the disease. Large clinical trials testing the anti-tumoral properties of cannabis in humans are nonexistent. However, ample preclinical research suggests that the herb has some serious cancer-fighting potential. Anti-proliferative: Prevents tumor cells from growing and dividing. Further, Spanish researchers have found that treatment with both THC and CBDsuccessfully reduce tumors in animal models of brain cancer. Yet, unfortunately, the majority of the available information on cannabis and cancer is limited to anecdotal reports and low quality, preclinical information. Access to only low-quality information means that patients will have to stay in the dark about the overall effects of cannabis until better research is available. For more information on the four ways cannabis kills cancer cells, take a look at the full article here. Though large trials on cannabis for cancer in humans are lacking, there is substantially more information on cannabis-based treatments for cancer symptoms. In fact, many patients already have access to cannabis-like medicines while under chemotherapy. Canadians already have access to a cannabis-based pharmaceutical for cancer pain. Sativex, a multiple sclerosis drug designed by British GW Pharmaceuticals, uses both psychoactive THC and nonpsychoactive CBD to ease symptoms of chemotherapy-related cancer pain. Cancer patients in the United States and many other areas of the world can opt to use one of two synthetic cannabis products. 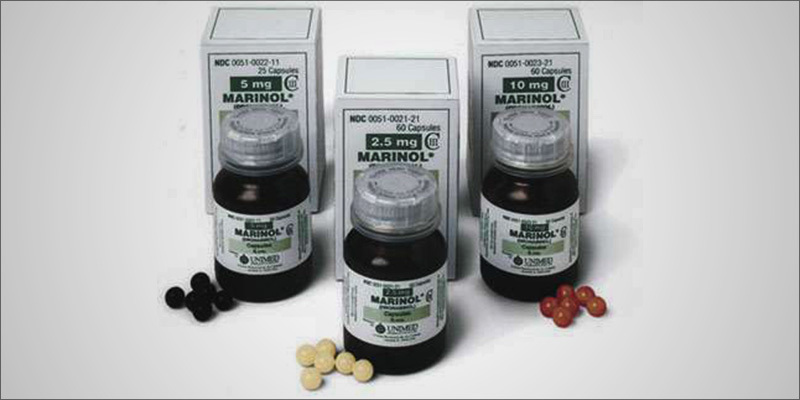 Dronabinol and nabilone are two man-made cannabinoid pharmaceuticals that are modeled after psychoactive THC. Both of these drugs help relieve nausea and vomiting associated with chemotherapy. Now, researchers in Australia are gearing up for the world’s first trial of cannabis for the management of chemotherapy-induced nausea and vomiting. Previous research on the matter relied heavily on the synthetic versions of THC available in drugs like dronabinol and nabilone. 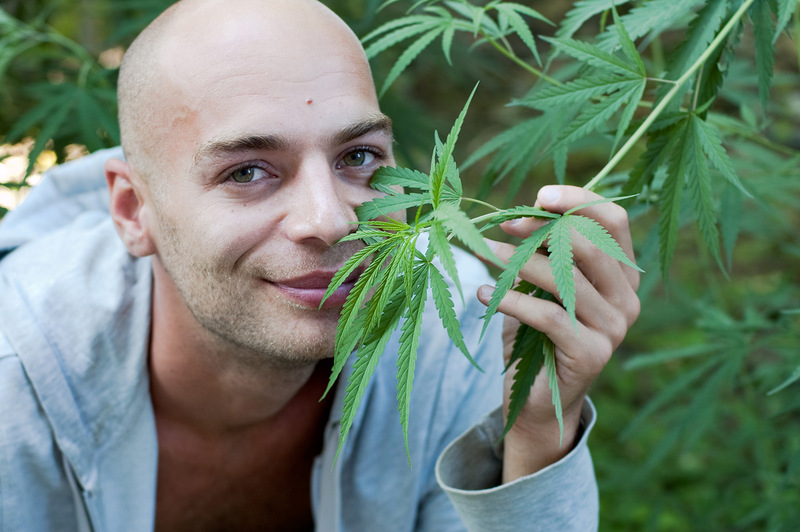 For more information on cannabis and chemotherapy, take a look at the article here. Smoking is one of the primary ways cannabis is consumed. Yet, surprisingly, smoking cannabis does not seem to be correlated with lung cancer. Back in 2006, California researchers interviewed 611 lung cancer patients, 601 patients with head and neck cancer, and 1,040 healthy controls. When the researchers looked at tobacco smoke, they found that 80% of those with lung cancer had smoked tobacco. 70% of those with other cancers were tobacco smokers. Half of all cancer patients had reported using cannabis. When the researchers looked at the results after controlling for tobacco, they found no correlation between cannabis and lung, head, or neck cancer. Later studies have gone on to show that damaged caused by smoking cannabis ceases once the individual stops consuming the herb. While moderate cannabis use has not been correlated to harm, the overall effect of the herb on the lungs and in certain types of cancers is still yet to be determined. For more information on cannabis and lung cancer, take a look at the article here. Many patients rely on cannabis to tolerate the side effects of chemotherapy. However, some patients go as far as using the plant as one of their primary anti-cancer therapies. Many patients go above and beyond smoking or consuming edible cannabis. Unfortunately, many patients find that the dose when smoking/vaping or consuming an infused treat to be too low. Instead of inhaling the herb, many medical cannabis patients use a highly concentrated oil to ease symptoms and in hopes of fighting cancer itself. This highly concentrated cannabis oil is known as full extract cannabis oil (FECO) or Rick Simpson Oil (RSO), after the cannabis activist and patient who popularized the remedy. Rick Simpson claims that he cured his own skin cancer by applying a THC-laden extract directly onto the damaged cells. Every patient that tries cannabis oil will have unique requirements that can be worked through with the help of a cannabis-friendly doctor. Many cancer patients slowly work up to a full gram of FECO per day, in 90-day intervals. Intervals are used to prevent tolerance and maintain the effectiveness of the cannabis products. However, it is important to note that cannabis is still a highly controversial and experimental natural remedy when it comes to cancer treatment. While there are overwhelming anecdotal reports, there have yet to be substantial human trials on the matter. So, no one can say for sure that cannabis has an effect on cancer cells inside the human body. Patients interested in trying cannabis treatments for cancer should always seek the help of a qualified medical professional before making changes to a treatment plan.